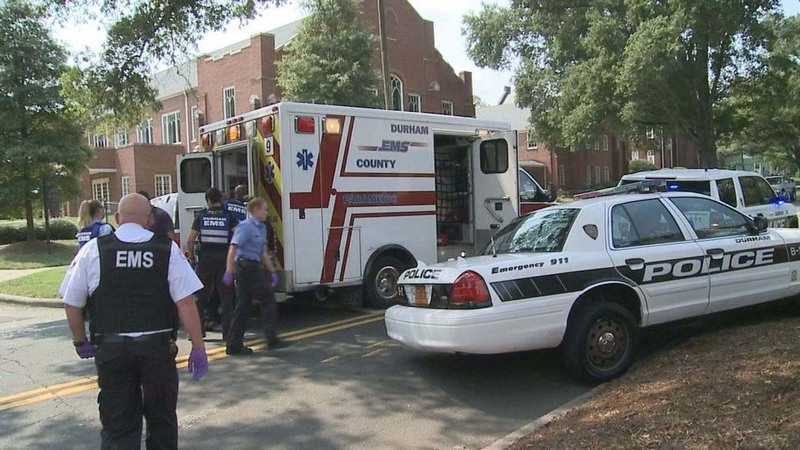 DURHAM (WTVD) -- A man was reportedly shot in the leg Friday afternoon on Trinity Avenue in Durham, prompting two area schools to go on lockout. Durham police said a man sustained a gunshot wound that appears to be non-life threatening in the 900 block of Trinity Avenue on Friday afternoon. A spokesperson with Durham County schools said Durham School of the Arts and George Watts Elementary were on lockout due to the police activity in the area. A lockout indicates a threat outside of the school. Students are moved inside and the perimeter is secured. A lockdown is in the event of a threat inside of the school. The spokesperson said nothing happened on campus of either school, the lockout was just a precaution. The lockout has since been lifted, and it only lasted about an hour, the spokesperson said. Police have not said if they have made any arrests in connection with the shooting.